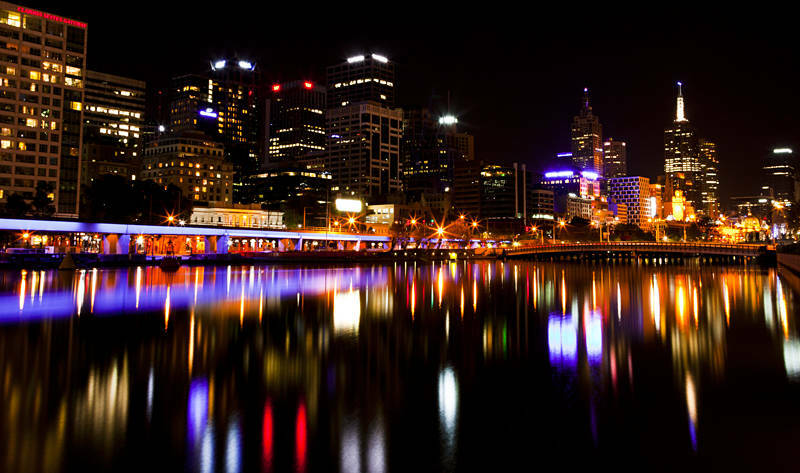 This night shot is of Queens Bridge in Melbourne, Victoria, Australia. This could be a contender for the Australian Skylines Calendar. Intriguing night shot. the reflections are gorgeous.